Advanced technology Exchange OST to MSG is professional software that used for recovering severely OST file to convert data into MSG file. OST to PST Converter Software has got a user- friendly interface that makes it quite tranquil to operate. It strongly recuperate outlook OST file and convert OST to MSG File. Software preserves folders; sub-folders hierarchy and emails formatting while Exchange OST to MSG Conversion. Restore corrupted, damaged Exchange- offline outlook OST file into MSG File . 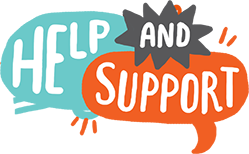 Supports all MS Outlook versions included- 97/2000/2002/2003/2007/2010/2013 and 2016. No size limitation:- Convert any size of OST file into MSG file. MSG is the extensively accepted email file format of MS Outlook for windows and most of the users want to convert their OST file emails into MSG format but they are confuse in selecting of the best solution, so here best Exchange OST to MSG Converter Software has been released that has influence to convert all OST items into MSG file with emails, contacts, calendars, task, notes, inbox items, journals and appointments. OST to MSG Converter Software capable to recover and export the entire items of OST files such as- Inbox items, outbox items, deleted folders items, journals, task, notes and appointments into MSG file that you can directly open in MS Outlook application. Export Selective items from corrupted or healthy Outlook OST files into MSG file with using this OST to MSG Software that allows make selection of items by check or un-check process and convert the selected OST items to MSG file with preserves emails formatting. OST to MSG Converter Software perfectly supports the encrypted password protected OST file to recover emails and migrate OST file emails to PST outlook file with emails attachments and properties with maintains data integrity. Software allows recover the emails which exists in deleted folders of outlook OST file, so this is better feature that helps to recover deleted folders emails into MSG file that you can directly open in MS Outlook application. Not to worry about corrupted offline OST file because the software; OST to MSG Converter has facilities or capability to convert all corrupted emails of OST files into MSG file along with each detail; emails header info, emails attachments. 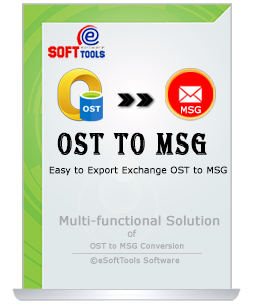 Export OST to MSG file with maintains all folders or sub-folders structure using this remarkable OST to MSG Converter Software that never harm internal data of OST file while conversion process. Have Demo Version of OST to MSG Converter Tool - A demo version provided with the intention to solve user’s problem related to software working process, all users are capable to use the demo version and examine software conversion fast process. Demo allows save 15 emails per outlook folders into EML format at free of cost. Can I Export only needed folders along with emails or attachments from offline OST file into MSG file? Yes, you can convert the selective folders or items of your Offline OST file into MSG file without facing any problem. Can I convert my corrupted OST file emails into MSG file? In which application can I open my converted MSG file? Will software supported password protected OST file to export data into MSG file? Yes, the software capable to convert corrupted, damaged or password protected OST file data into MSG file. Really a true software, without lose any details of my OST file I successfully converted all my OST file folders with emails into MSG file. I liked the fast way for conversion of the software and want to recommended this software to every users who want to convert OST to MSG file………. Thanks a lot.………..